Where the Red Oak Creek flowed into the Nishnabotna River, thick groves of walnut, oak, and cottonwood trees crowded about their banks. This gentle intersection of waterways was to become the junction of railroads, highways, and so many people�s lives. The seeds of the hopes and dreams of early pioneers where planted in the fertile soil. Nurtured by the promise of the railroad, the town began to grow and earned the honor of becoming the county seat. 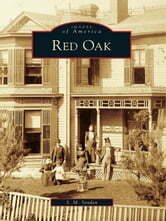 With the building of the railroad, Red Oak Junction was regarded second only to Deadwood as a wild outpost on the western frontier. 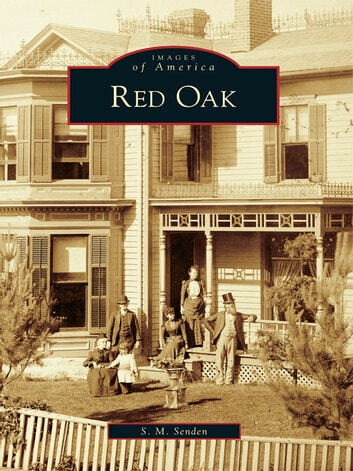 With the completion of the railroad, the laborers left, taking that reputation with them, and Red Oak blossomed into a booming city directed by the strong personalities of the city fathers who sought to have it be a leader of culture, building, technological improvements, and businesses in the state. Fires, grasshoppers, hailstorms, and floods could not dampen the indomitable spirit of those who have lived in Red Oak through the years.